This Old El Paso™ recipe makes 10 Chicken and Coleslaw Soft Tacos. 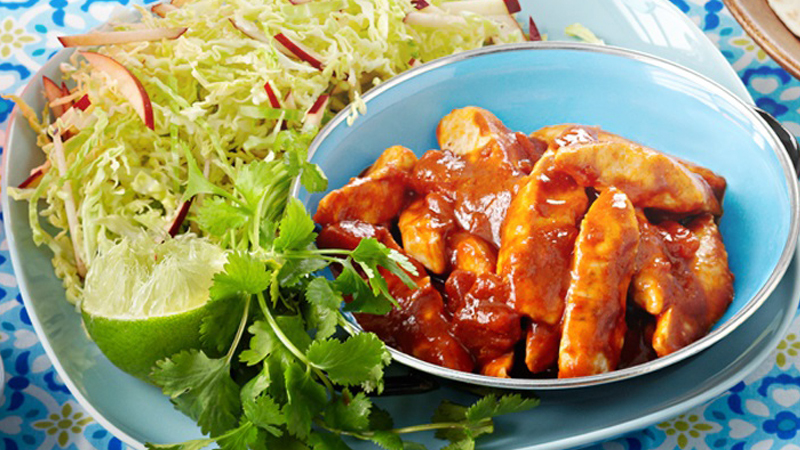 This dish is perfect for those who love Mexican flavours. Just add fresh ingredients like sour cream, coriander and lime. Give it a try for lunch or dinner! Blend Taco Spice Mix and passata in a small bowl. Heat oil in large frying pan. Add chicken to hot pan and cook for 5 minutes or until golden brown. Add passata and spice mixture and simmer for 2 minutes. Combine cabbage, apple and coriander to make coleslaw. Dress with lime juice and olive oil. Mix lime zest into sour cream until well combined. 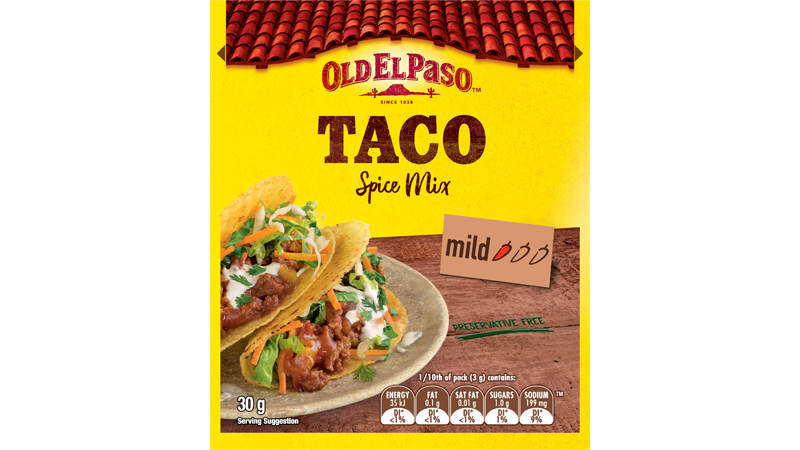 For warm Soft Tacos, open Soft Taco pouch, discard Freshness Sachet. Microwave Soft Tacos in pouch on HIGH/1100 watts/100% power for 35 seconds* or remove from pouch, wrap in foil and heat in oven at 180ºC conventional (160°C fan forced) for 10 minutes. Build your own Soft Tacos by filling with chicken, zesty sour cream and dressed coleslaw.